In our forty-sixth episode, we talk to Owen about his background in film, horror, and sitting in the director’s chair. 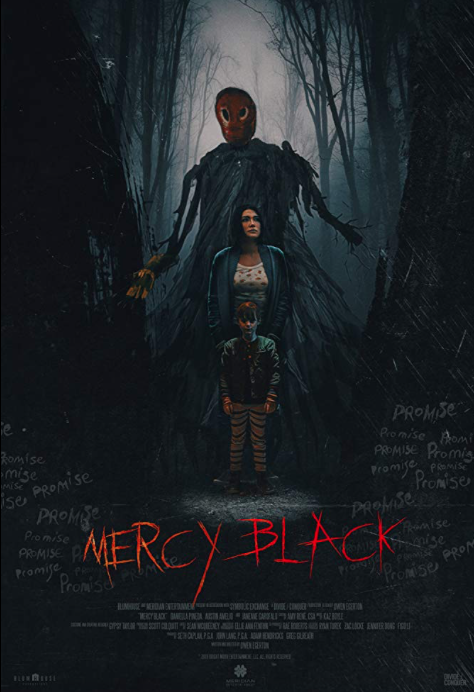 We talk a little about his influences, favorite scenes in movies, his previous films ‘Follow‘ and ‘Blood Fest‘, and a bit about ‘Mercy Black‘, which his new horror motion picture on Netflix. It was a ton of fun for sure. Our “Bloody Question“ this week was: “What scary entity still scares you from your childhood and why do they scare you?” . We also give you “Bloody Recommendations”, four horror films, being 1945’s ‘The Body Snatcher‘, 1985’s ‘Making Contact‘, 1979’s ‘Tourist Trap‘ and the bonus suggestion of 1985’s ‘Night Train to Terror‘. Stay tuned for our After Dark Show immediately following the episode, where Preston and I discuss some horror news and our thoughts on the new Hellboy Film. It was so much fun. This episode is guaranteed to thrill you, chill you, and fulfill you. This entry was posted on Thursday, April 11th, 2019 at 6:25 pm	and is filed under Film, News, Podcast. You can follow any responses to this entry through the RSS 2.0 feed. You can skip to the end and leave a response. Pinging is currently not allowed.